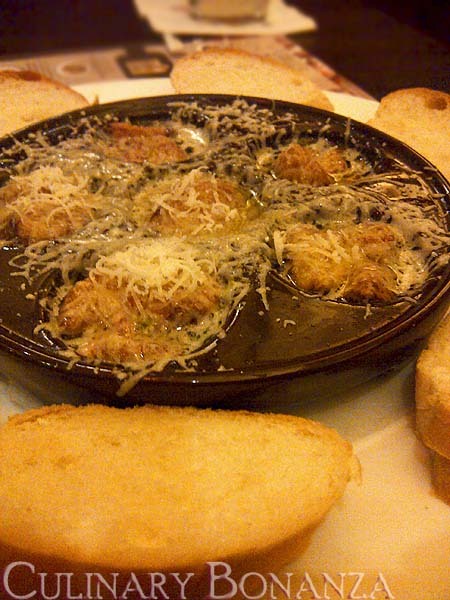 Mad for Garlic, which opened earlier this year in Grand Indonesia, actually originated from Korea. So far it has opened branches in Jakarta and Singapore outside of Seoul. This place has a varied selection of wine, quite a fancy place to have dinner at. Lucky the drinks were not somehow infused with garlic too (that would be overwhelming!). 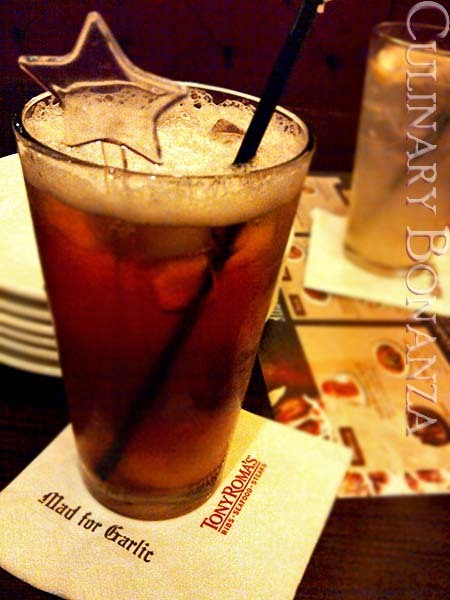 Lychee Iced Tea seemed like a good reprieve to prepare for the next garlic-ful dishes. 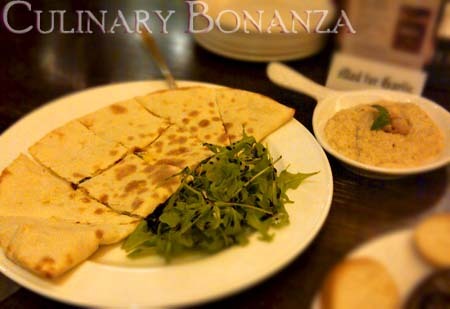 Another favourite here is the Calzone Pizza. When it came, it was SO huge! But as the crew helped to slice it to pieces, the calzone deflated like a punctured baloon. The calzone was yummy eaten on its own (it's got delish cheese and mushroom stuffing). But what's the point if I don't eat it with the sweet garlic sauce? My verdict for the calzone & sweet garlic sauce duo? Highly recommended! 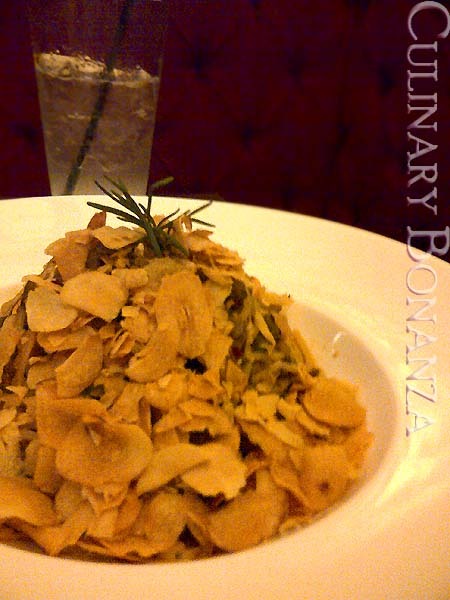 Last item for this post, is also another favourite here: the Garlicpeno Pasta. Be warned, it's VERY hot, with 3 chillies (the maximum) to indicate the hotness level. The fried garlic shavings covered the entire plate and unfortunately I only snapped photos of it still untouched, so you can't see the spaghetti in this picture :( Taste wise: it's very spicy! I had one forkful and had to give up before I started having runny nose and watery eyes haha. Apart from the chilli, I could still tell that the pasta was well done. Cooked al dente and perfect seasoning (aglio olio of course).